Kelly Shaw Team and York SPCA Adoption Event! 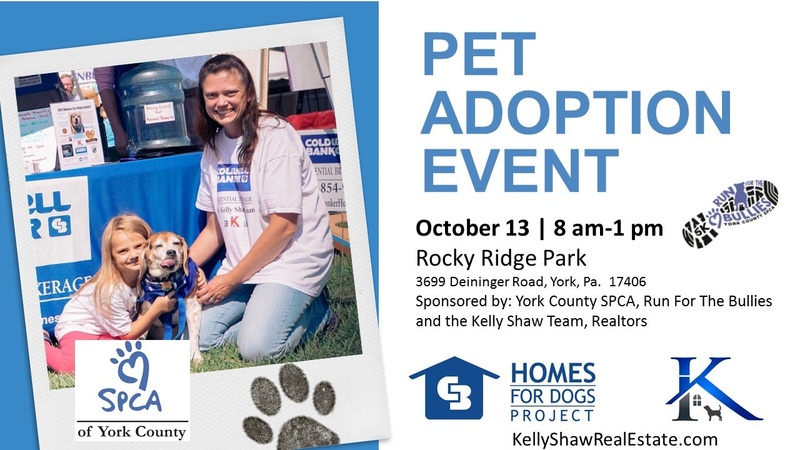 On October 13, 2018, the Kelly Shaw Team is teaming up with the York County SPCA to join forces, along with hundreds of Coldwell Banker offices and animal shelters around the country, for the Coldwell Banker “Homes for Dogs” National Adoption Weekend. 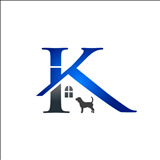 The nationwide adoption weekend is part of the “Homes for Dogs Project,” a four-year campaign launched by Coldwell Banker Real Estate LLC and Adopt-a-Pet.com, North America's largest non-profit pet adoption website. In just the first year alone, the organizations helped to facilitate more than 20,000 adoptions. Coldwell Banker® launched “Old Dog New Dog,” in May 2018, a national advertising campaign which told the stories of a family and an older homeless dog who find each other thanks to the Coldwell Banker agent who is volunteering at a pet adoption event. “Old Dog, New Dog” ranked as the highest rated real estate ad of 2018, according to Ace Metrix, the leader in measuring the impact of television and digital advertising. The ad earned top marks for likeability and is the second highest rated real estate ad ever, right behind last year’s, “Somebody to Love,” also from the Coldwell Banker brand.